← It’s not the devil, stupid…It never was! Colour immediately splits people into different camps, and not just aesthetically. One man’s blue is another man’s brown and believe me, my sister and I almost came to blows over this while driving and she’s a highly talented and successful painter (these two things are usually mutually exclusive in my experience). So this low cabinet is an exercise in modern materials and ways of expressing them honestly mixed up with a bit of a bold colour statement. 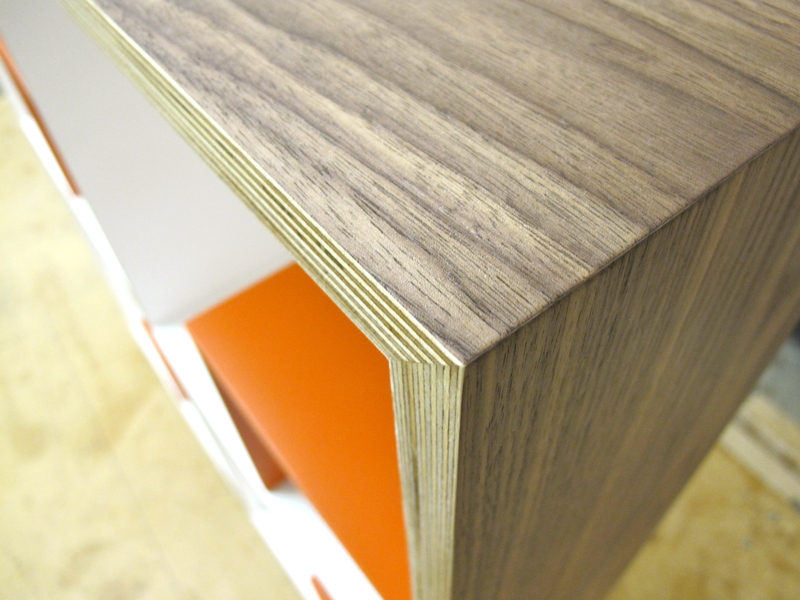 The mitred carcase joinery is a satisfying way to feature the plywood striations and allow the walnut veneer to wrap around the piece. 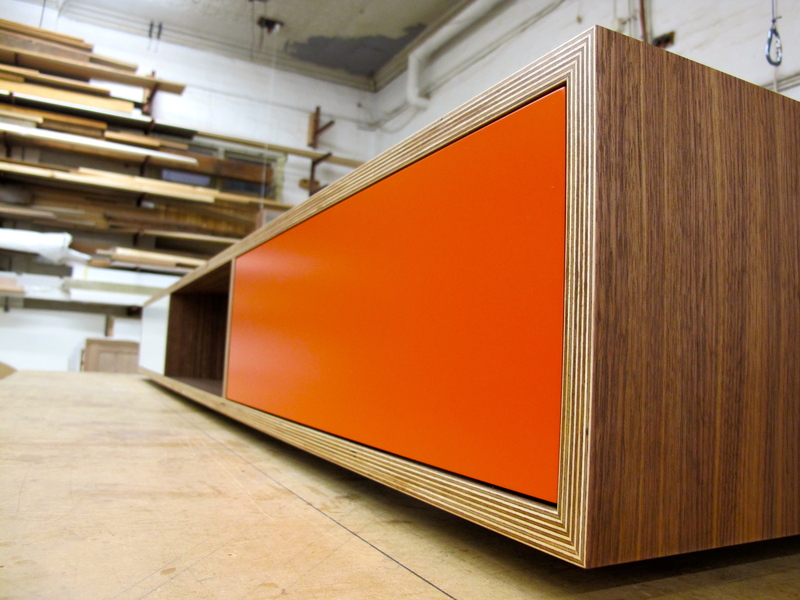 This entry was posted in Cabinetry, Favourite images. Bookmark the permalink. 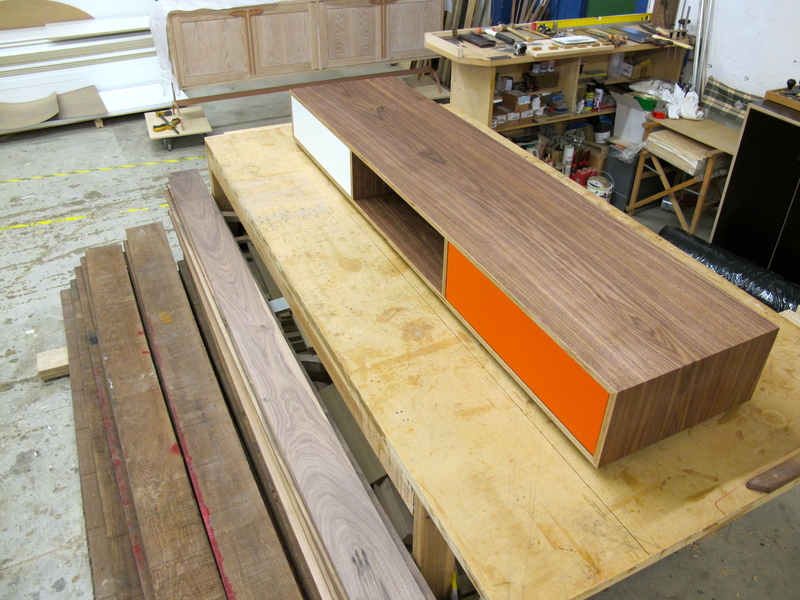 Hate the orange – love the pattern on the edges of the cabinet!